Woman wakes with a start the night before the wedding and runs to her car in pajamas and a coat — too classic, right? Well, the woman was me, and, no, I’m not married. But, alongside a Portland-based Pie Master, I did recently bake lots pies for two of my closest friends’ wedding. And, if you’re wondering, that night, I woke up realizing I’d forgotten to chill coconut cream so ran to my car to grab it. “Crisis” averted. No, but seriously, homemade pies matched up with the casual, intimate, backyard bash feel of their beautiful celebration (I shed some serious tears, you guys). I was honored and pleased to be able to contribute to this big event for my friends in what felt like a really special, meaningful way — so much more satisfying than buying some towels off a registry, right? And also, pie. I hear wedding pie is a thing, now? So, some tips from my personal pie passage. 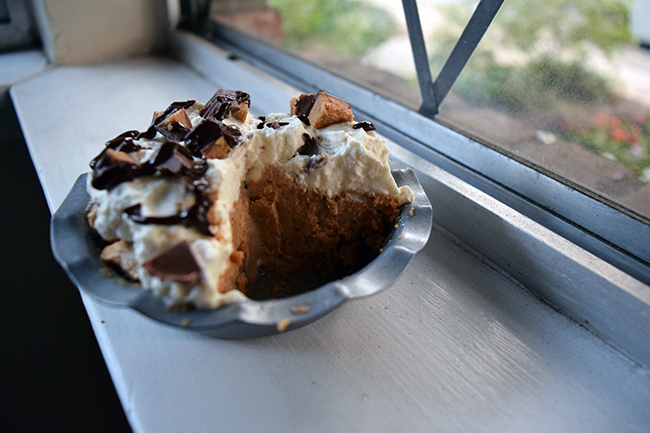 In multiple parts, because I have a lot of thoughts about pie and pictures of pie. Pie pie pie. Pre-pie-ration. Pie Prep. What you do before. Take some time to find your piesthetic. I wouldn’t have considered myself a pie-baker a few months ago. I’d made a few, mostly savory ones, but I didn’t have a good feel for it, yet. I started with these two that I’d made before: Fresh Strawberry and Mascarpone Pie from Epicurious and Chocolate and Espresso Pie from Oh She Glows (via My New Roots) and went from there. Side benefit, I have become significantly more well-liked, since I brought a test pie to nearly every social event I went to for months. Lest you think I made a truly superhuman amount of pie, I actually am just not that social. I did make a fair amount of pie, though. But don’t make cupcake-sized pies. Seriously, don’t. I did it so you don’t have to. They are adorable, but latticing them is incredibly tedious and frustrating, and you don’t even get very good data from making them. They’re somewhat useful to generally test a recipe, but the physics of a normal-sized pie differ so much that any information on timing or taste is not valuable. Unless you are making cupcake-sized pies for a wedding, in which case, damn. No. I know you’re thinking it. Don’t go there. Figure out your crust plan early. The flaky, buttery crust is my favorite part of pie (obviously), so I wanted to master it early. It also freezes well, so you can make it early. I settled on this buttermilk pie crust from Joy the Baker. It baked up with so many layers that people mistook it for puff pastry, which I took as the highest compliment. I also tried the famous vodka pie dough, but I didn’t find great success. Do your pie math. We figured we’d get 8 slices per pie and that each guest would, on average, have 2 slices. And, of course, we added a few bonus pies on top of that, because I will always be that person who worries that there’s not enough to eat. 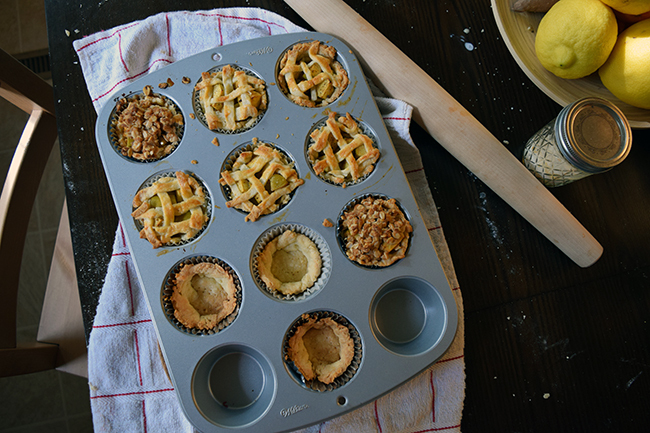 When planning your menu, leverage freezer-friendly pies. Of course, you will make fruit pies with beautiful lattices. 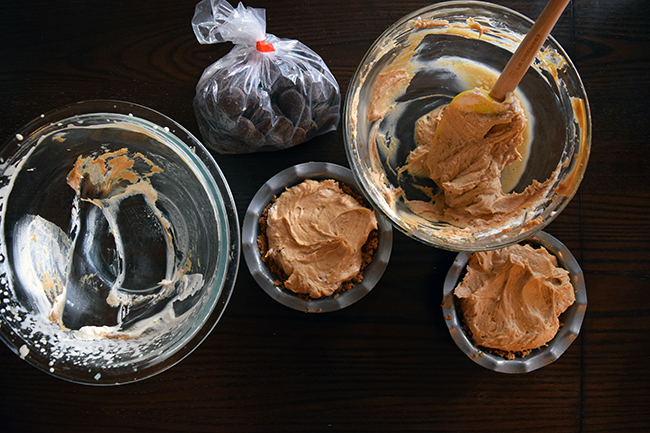 But don’t forget about pies like peanut butter or chocolate, which are quicker to make and freeze well. 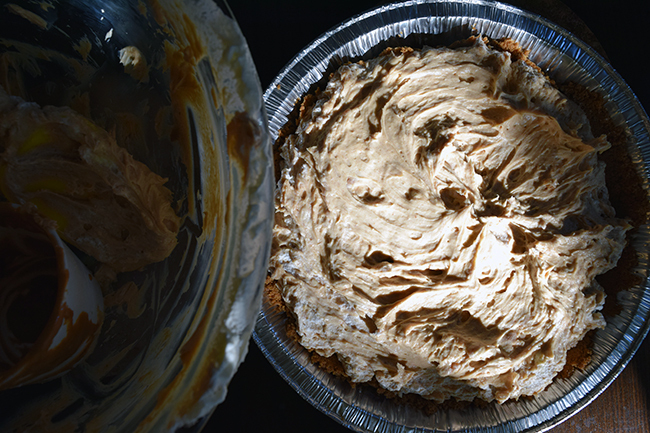 In addition to a few chocolate and espresso pies, I also made a couple Peanut Butter Cream Pies from Homemade Decadence (via The Candid Appetite). It was a relief to be able to make these well ahead of time so that closer to the wedding, I could focus (some might say obsess) over the moisture content of fruit pies and crust crispness. Plan out your pie-meline. It’s totally dorky in the best way. Here’s what worked for me. Just over a month out, I made all the crusts. It was sort of an intense day (more on that later), but it was great to have them done, plus a few extras for testing. A week out, I made the freezer-friendly pies. 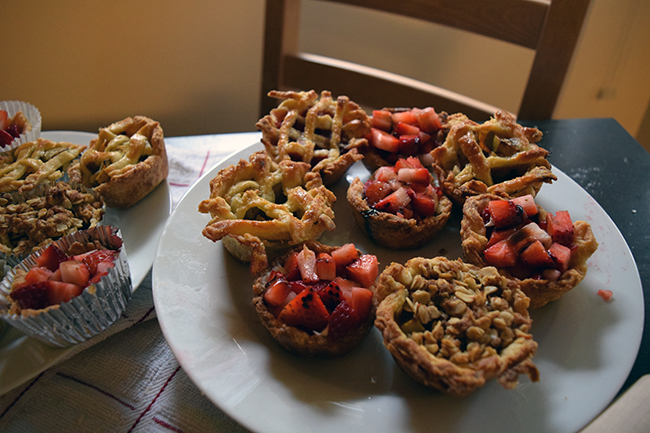 Two days before the wedding, I baked up the bottom crusts for the fruit pies. The day before the wedding, I finished baking the fruit pies. Day of, I only had finishing touches like whipped cream. Excruciating detail on all of this next post. Next up, making of the pies! 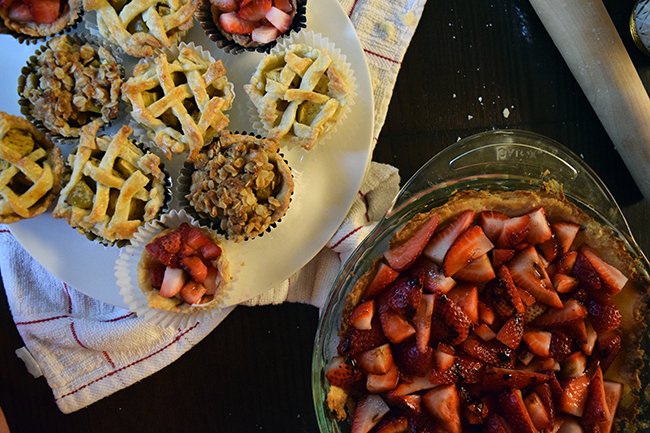 This is the first post in my series on how to make pies for a wedding! Part 2 (coming soon) has tips on making the pies, and part 3 (coming soon) has a recipe I developed for Cherry Chocolate Pie.